The KS Chair by Ox Denmarq is an absolute classic from the Danish manufacturer’s product range. The butterfly chair is an eye-catcher in every room and is also very comfortable. 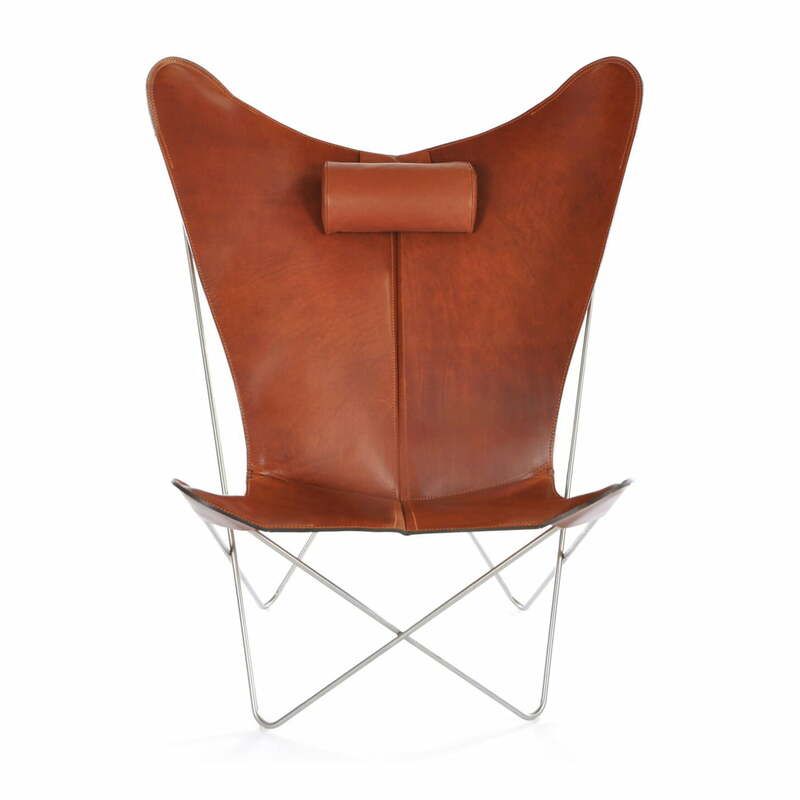 It is made from Spanish leather and has a stainless steel or powder-coated steel frame. The removable headrest, which fits in harmoniously with the overall concept of the chair, provides extra comfort. Manufactured from the natural material leather, each chair has special characteristics that make them unique. Other influences, such as sunshine, age, wear and moisture, allow the leather to gain depth and shine. Love the neat design, and easy to assemble by myself. It perfectly fit my living room and is comfy than I expect. All of the guests enjoy sitting on it. Isolated product image of the KS armchair by Ox Denmarq. 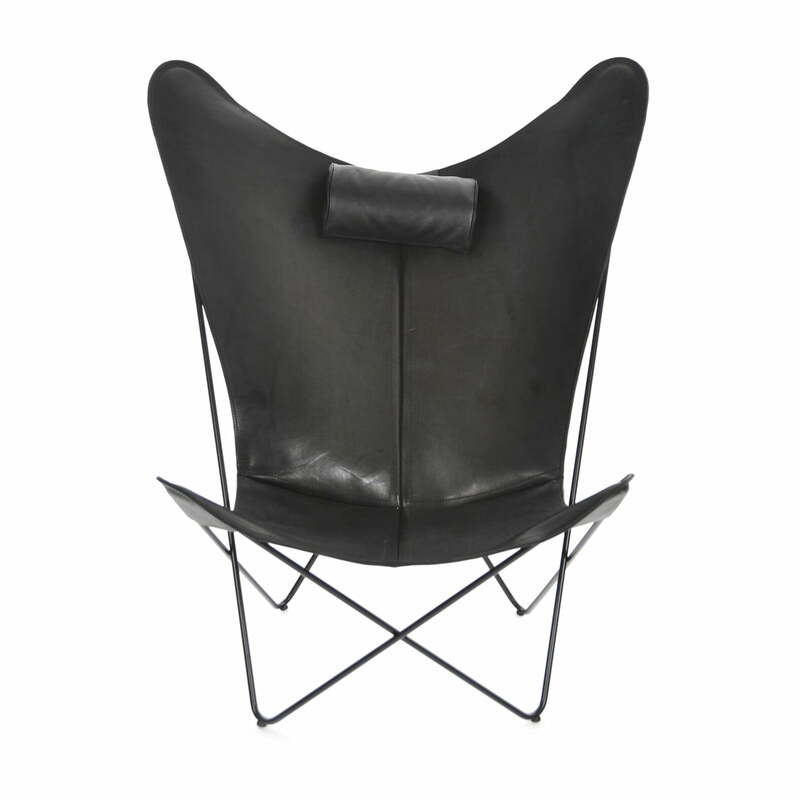 The comfortable butterfly chair is made from powder-coated steel in black and Spanish leather in black. Isolated product image of the KS armchair by Ox Denmarq. 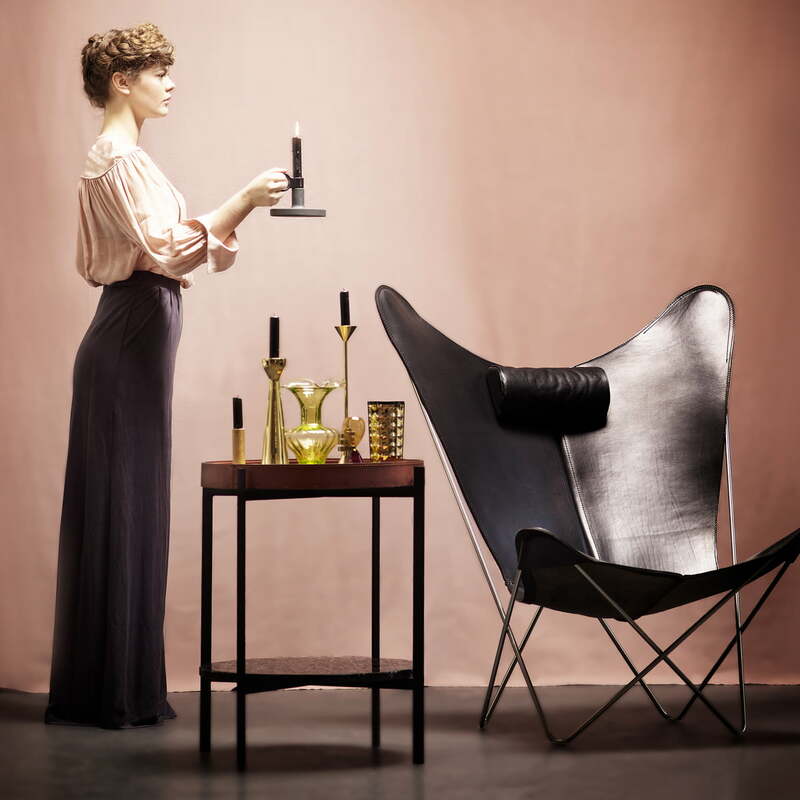 The comfortable butterfly chair is made from black stainless steel and cognac coloured Spanish leather. The KS Chair by Ox Denmarq is an absolute classic from the Danish manufacturer’s product range. The butterfly armchair is an eye-catcher in every room and is also very comfortable.